A local bicycle shop that has a solar powered EV charging station invited us to hold this Ride & Drive event on their front lawn and in the parking lot. 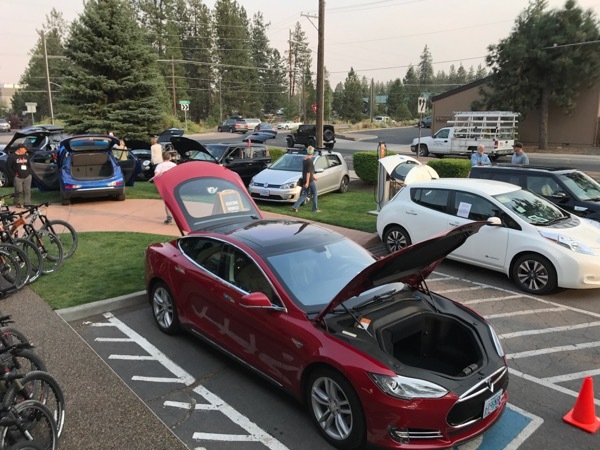 We had 12 electric cars and 1 electric motorcycle, and 2 electric bikes in attendance. Visibility was excellent as the event was held on a very busy street corner with lots of drive by traffic and some honking and waving from passing EV drivers (some of who stopped in to see that was happening).